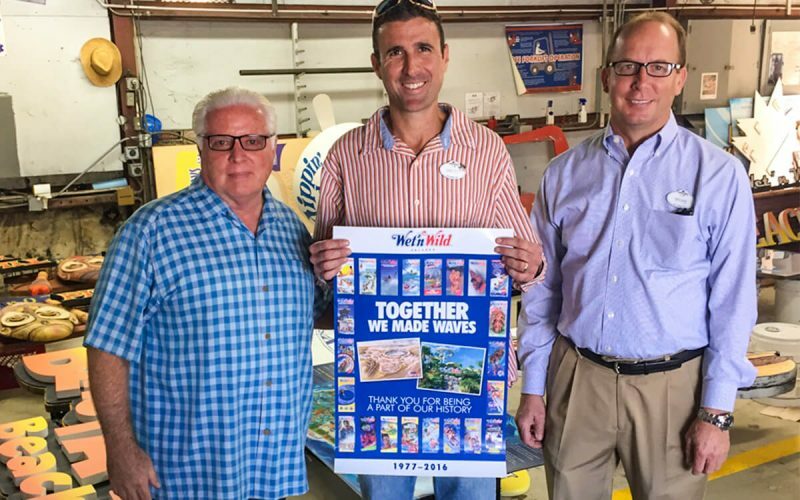 Wet ‘n Wild Orlando items donated to honor park founder, George Millay. ORLANDO, Fla. — Several board members of the NRCMA, worked in cooperation with team members at Wet ‘n Wild Orlando. They were on hand at the park on Jan. 6, to accept donations. Donations included, numerous signs and other items from the 39-year old landmark which closed on Dec. 31, 2016. The two highlights for the museum are the backlit red-and blue Wet ‘n Wild name sign that hung over the park’s main entry gate, and a 3D circular sign from the legendary Black Hole water slides. 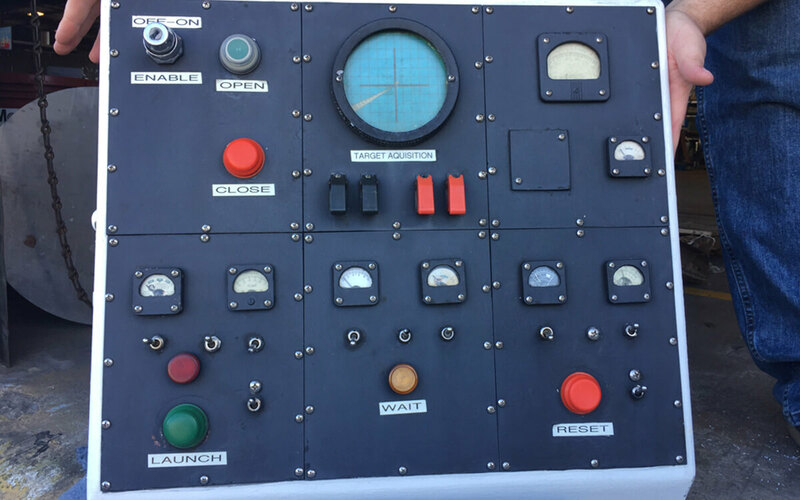 Other donations were the control panel to the park’s Bomb Bay drop slide, which was an original creation from park founder George Millay. The donated items honoring the park and Millay will be housed in the new Mark Moore Memorial Building expansion. This expansion is set to be located at the museum’s Plainview facility. NRCMA is working with the park to secure even more historic artifacts for future museum displays. 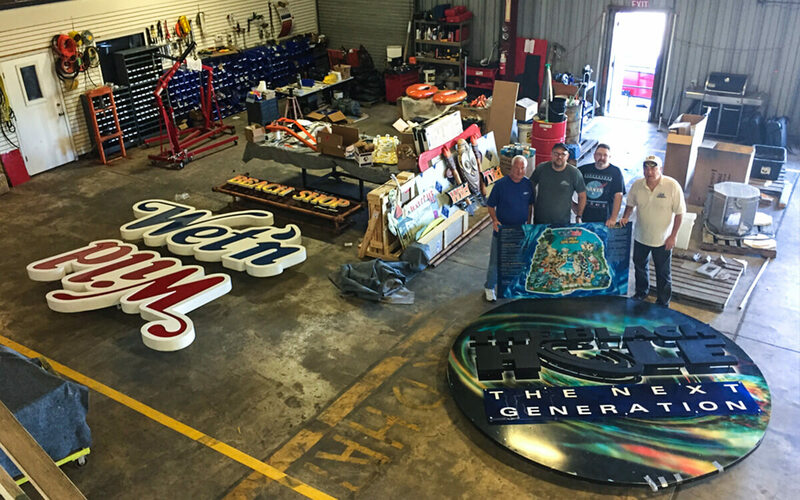 Wet ‘n Wild signs were transported to Orlando-based Skyline Attractions where they will be crated for shipment to Plainview, Texas. 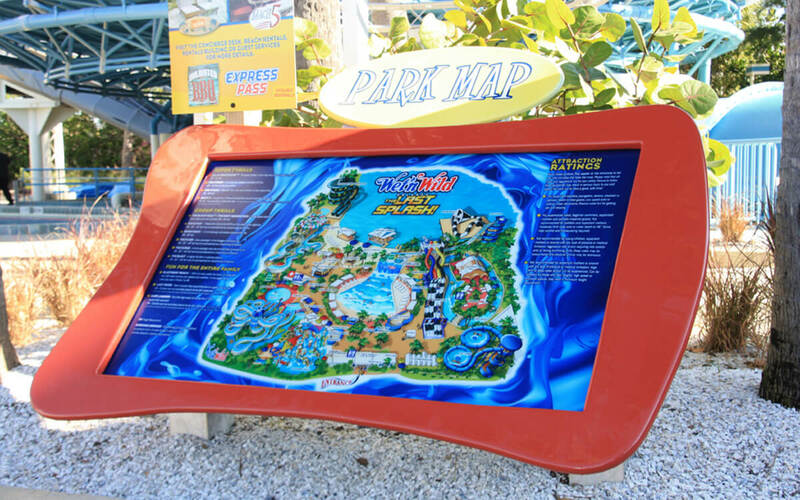 In addition, the park map was also included in the collection along with a control panel from the Bomb Bay slide.